Your site is brilliant. It definitely puts the TAT to shame. I have been following your site since it began and often come here to gather inspiration before I go out exploring & photographing the old parts of the city. 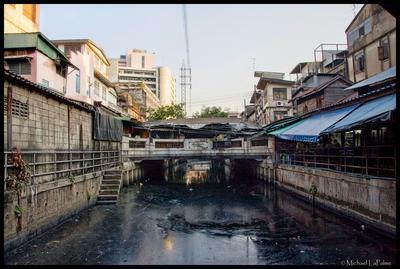 I enjoyed your recent post on the Saphan Han area near Pahurat & Sampheng. It seems as if these neighborhoods have changed very little in the last 100 years. 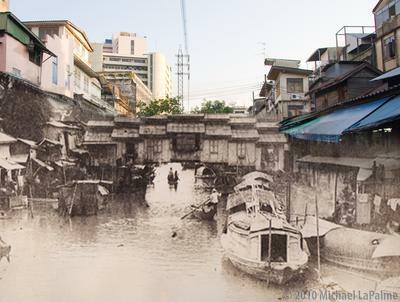 I created this composite of a photo from Saphan Han and one I took from nearly the same place.